Hey Canada are you ready for this? 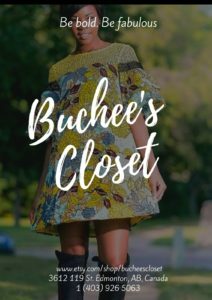 Shop and get the African slaying look at BUCHEES CLOSET. 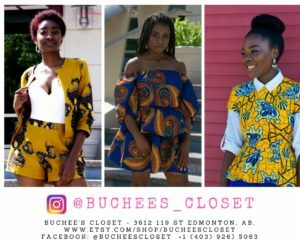 Her name is Olubusola Onasile, founder of one of the trendiest fast rising African print based in Edmonton. Look no further, and contact her for all your African contemporary traditional looks. Shipping available to anywhere in Canada. Outfits available for all kinds of event. BUCHEES CLOSET has your back. 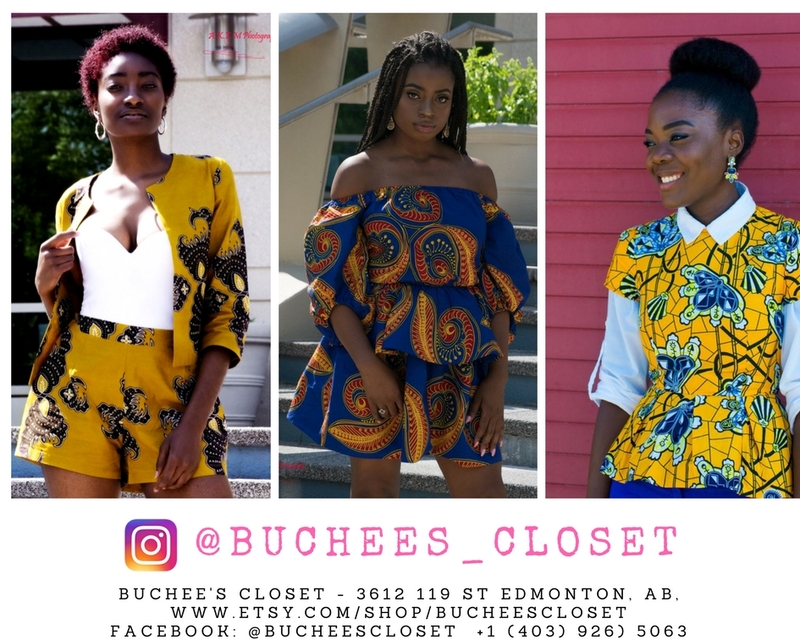 Wait no more and stop spending too much dollars ordering from Africa, You have everything you need here in Canada.